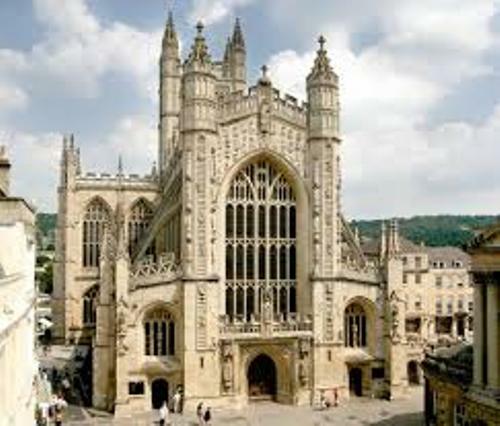 If you are interested to know a great example of Perpendicular Gothic architecture, you need to scrutinize the architectural design of Bath Abbey. Bath Abbey is one of the most popular places to visit in Bath. It can hold 1200 people to sit on the church. Each year, it is visited by thousands of people and congregation members. There are various activities conducted here such as concerts, religious services and secular civic ceremonies. Visit the vaults if you want to know the heritage museum. The fan vaulting of Bath abbey is very famous. Therefore, it is included in a Grade I listed building. You can find interesting decoration of the wall and floor plaques. It contains the monuments for notable people and war memorials. 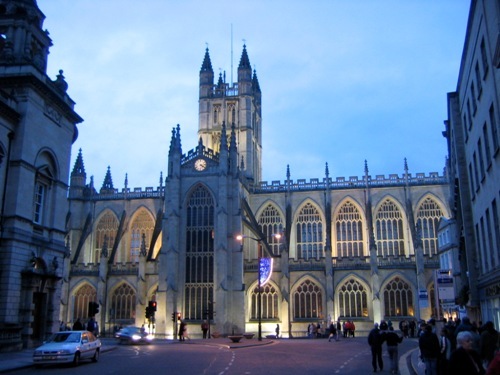 Get facts about Bath England here. There are two organs located in Bath Abbey. This church is also a home of a peal of ten bells. If you are an art lover, don’t forget to check the west front. You can find out an interesting sculpture which depicts angel climbing two stone ladders to reach the heaven. A convent was established near Bath under the order of King of hwicce, Osric in 1657. He gave 100 hides for Abbes Berta to do the project. 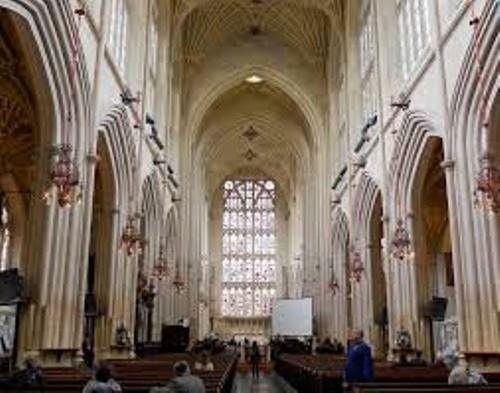 Bath abbey has 52 windows. The window is very large. Therefore, they occupy 80 percent of the wall space of the church. The memorial of Charles Empson can be seen on the window of Four Evangelists. They are located over the northwest door. William Burges designed the stained glass window. It was showed in 2010. Bath abbey has a two stage central tower. It is in oblong plan shape. The height is around 49 meter or 161 feet. Robert and William Vertue was the original designer for the interior fan vaulting ceiling. In 1864 till 1874, Sir George Gilbert Scott revised it. 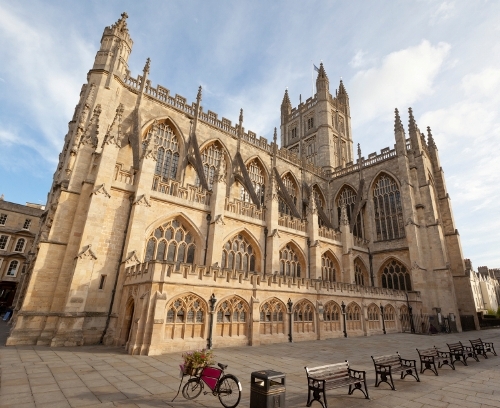 Do you have any opinion on facts about Bath Abbey? Facts about Colonial Williamsburg inform you with the living history museum located in Williamsburg, Virginia, United States of America. Facts about 10 Downing Street will explain about the place of living of Prime Minister of Britain since 1905.